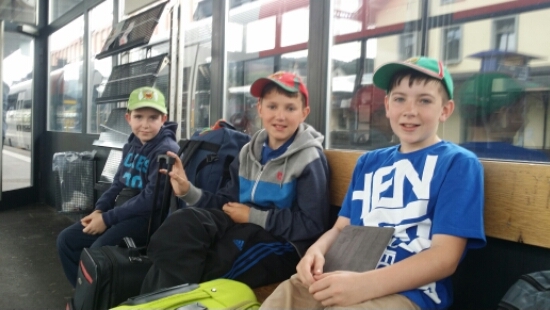 We’re waiting at St. Margrethen train station in Switzerland for our 10.20 train to Zurich airport. Looking forward to seeing you all. Safe journey.